And so the seeds of Unholy were planted and, after hit runs at Toronto’s Nightwood Theatre between 2016 and 2018, the play arrives at Zoomer Hall for four exclusive performances from November 16-18 — the first two of which are already sold out. 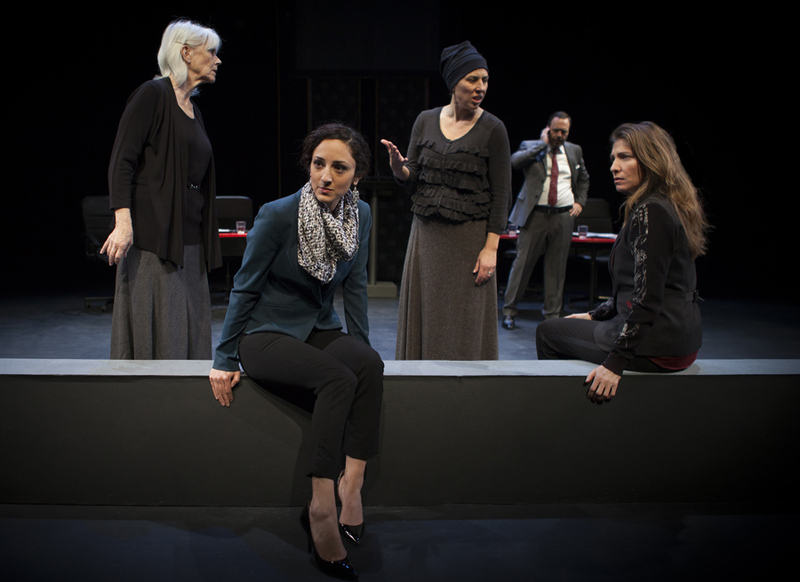 Set during a television debate, the four female leads — including Flacks herself — tackle the intersection of religion and feminism with balanced insight and cutting dialogue that skilfully manages to ensure that no one on any side of the argument feels left out or misrepresented. And Flacks doesn’t stop there, digging into the backgrounds of her main characters to explore the pivotal moments in their own lives that helped shape, and continue to challenge, their personal views on faith and feminism. And not only is Unholy being staged at Zoomer Hall, but those performances are being taped to air on VisionTV (a ZoomerMedia property) – an added bonus that elevates the aesthetic and authenticity of the production. And that’s, in a way, the whole point — not to make you change your mind or convince you that one side of the debate is right or wrong, but to implore audience members to seriously consider their own convictions and then listen to what the other side has to say. Tickets for Unholy are available for performances on Saturday, November 17 at 7:30pm and Sunday, November 18 at 7:30pm. Click here for more information and to purchase tickets.